With warmer weather on the horizon, many homeowners are enlisting the help of landscapers to transform their outdoor living space. In this article, Group Sales & Marketing Director, Malcolm Gough at Talasey Group explores his top tips for creating the perfect summer garden. Another summer will soon be upon us and with more people choosing to upgrade their outdoor living space it’s set to be a busy season for industry professionals. No matter how big the space, there is so much that can be done in the garden, from replacing a patio to a complete renovation. 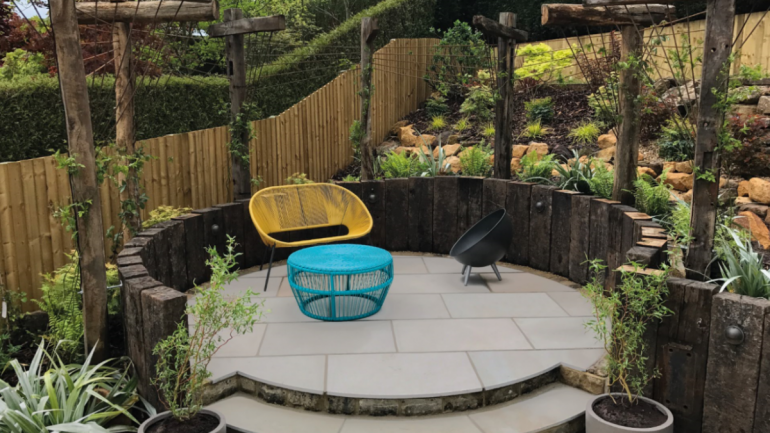 Mixing colours, textures and sizes of paving was popular last year, something which is set to continue in 2019. No longer are landscape designers afraid of mixing materials, from porcelain and natural stone to clay pavers and resin bound aggregates – we’ve seen many of our customers make unusual product combinations look fantastic this past year! Not only does using a combination of different materials look stunning, but it results in completely unique designs. When mixing products, be sure to request samples and compare before ordering, to ensure they are compatible and will deliver your desired aesthetic. We offer a ‘samples’ service on all of product ranges to make comparison easy. Summer was made for garden parties and BBQs, breaking off to mow the lawn just spoils the fun. Taking time out to cut grass is not the only problem, as we saw in last year’s heatwave, the sun can really take its toll on lawns, leaving them discoloured, dry and scorched. 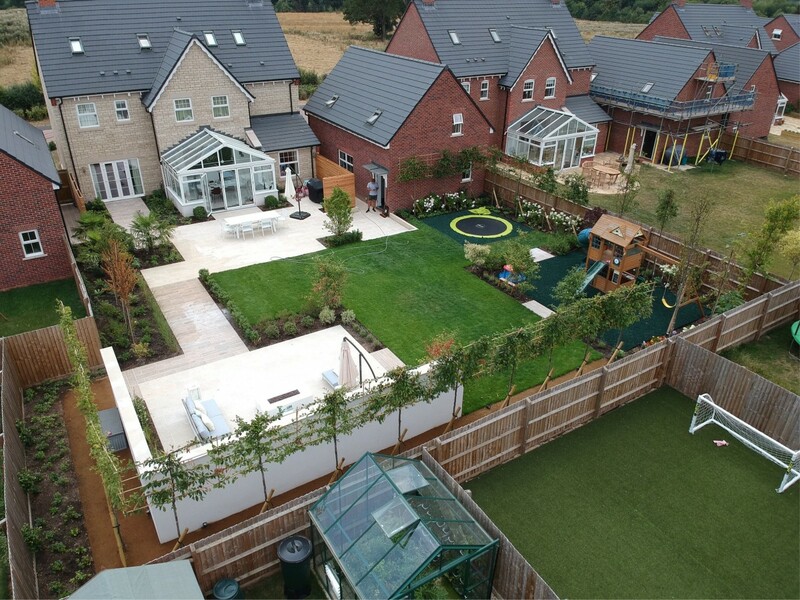 Installing artificial grass is the perfect solution, latest innovations such as Luxigraze, are hassle-free and don’t require any watering, remaining lusciously green all year round. The start of a new year means new landscaping trends. A trend which is predicted to be popular in 2019 is porcelain paving, as customers look modernise their outdoor spaces with contemporary and sleek designs, this material is in high-demand – something which was discussed in the latest BMF quarterly meeting. Porcelain flagstones that offer a varied colour blend, reflect natural products and provide homeowners with the ultimate choice in durability, longevity and style are all the rage. To satisfy this demand, we recently introduced 12 new ranges to our Vitripiazza porcelain paving range, which includes large format 1200mm x 1200mm stones and driveway suitable options, as well as much more! Accidents happen and there is nothing worse than spilling red wine or food on a brand-new patio, therefore, adding a protective finishing touch to landscaping materials is vital. Sealants preserve the look of paving and delay the stone from soaking in spillages, allowing more time for clean up. Unlike many sealants on the market, Pavetuf sealants are fully breathable which means no waiting time, they can be applied immediately! Talasey Group is one of the UK’s leading independent suppliers of landscaping solutions, with a diverse product portfolio. For further information, visit their website: https://www.talasey.co.uk/ or call 0330 333 8030.